It’s been a big day for block-based movie news. We already reported on the ambitious plans fueling what we’re suddenly forced to refer to as The Tetris Trilogy. 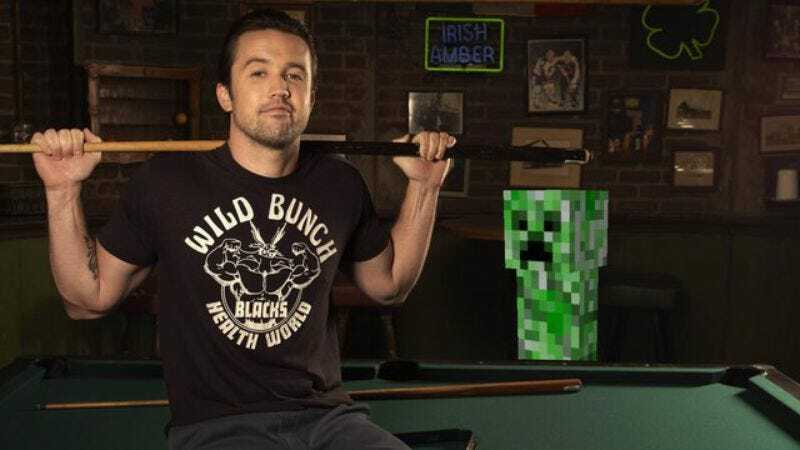 Now, Deadline is reporting that another film based on a plotless, cube-heavy video game is making headlines, with Warner Bros.’ Minecraft movie officially scheduled for May 24, 2019. Green-lit not long after The Lego Movie made this sort of thing look dangerously easy, the Minecraft movie has been in development for a while now. For the record, it’s still being directed by It’s Always Sunny In Philadelphia’s Rob McElhenney, making his feature film-directing debut after serving for more then a decade as writer, producer, and co-star on the long-running FX sitcom. Going off of the current movie-release schedules—which have gotten as complicated as that weird 3D chess game they’re always playing in Star Trek by now—it looks like Minecraft will be going up against the second Avengers: Infinity War movie when it arrives three years from now. It’ll also open just ahead of Warner Bros.’ own Justice League: Part II, which is currently set for June.